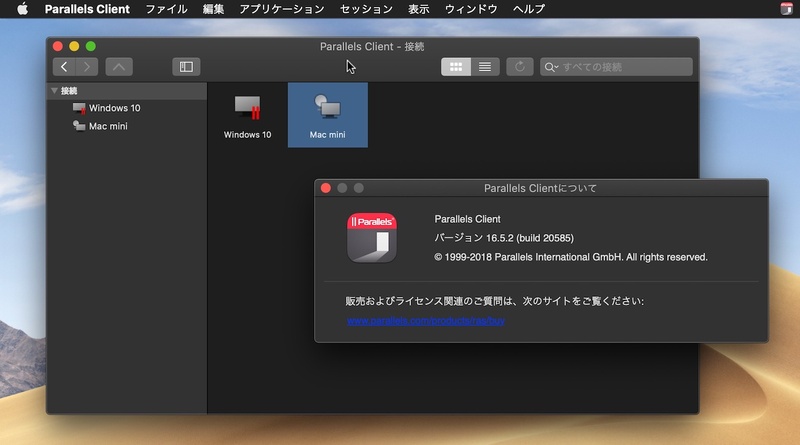 Parallels、macOS Mojaveのダークモードに対応したリモートデスクトップ・クライアント「Parallels Client」をリリース。 | AAPL Ch. 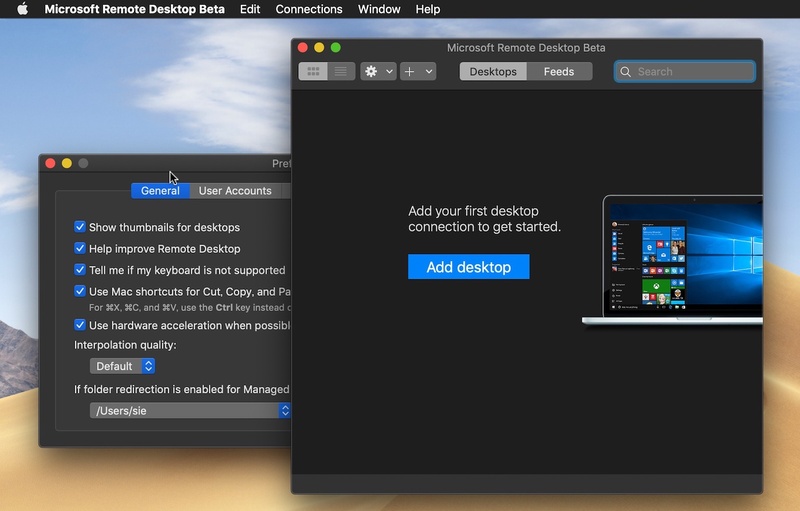 New: Support Dark Mode on macOS 10.14 Mojave. New: Connect automatically to a newly registered RAS farm. Fixed: Published applications launching via URL Schema commands. Fixed: Impossible to restore minimised windows for some published applications.